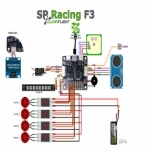 The SPRacingF3 Flight Controller gives you all the features you need for the heart of your aircraft, whether you're into FPV racing, acrobatic flying or aerial photography it's perfect. 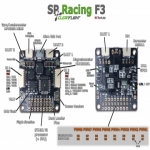 Supports a variety of aircraft, tricopters, quadcopters, hexacopters, octocopters, planes and more. 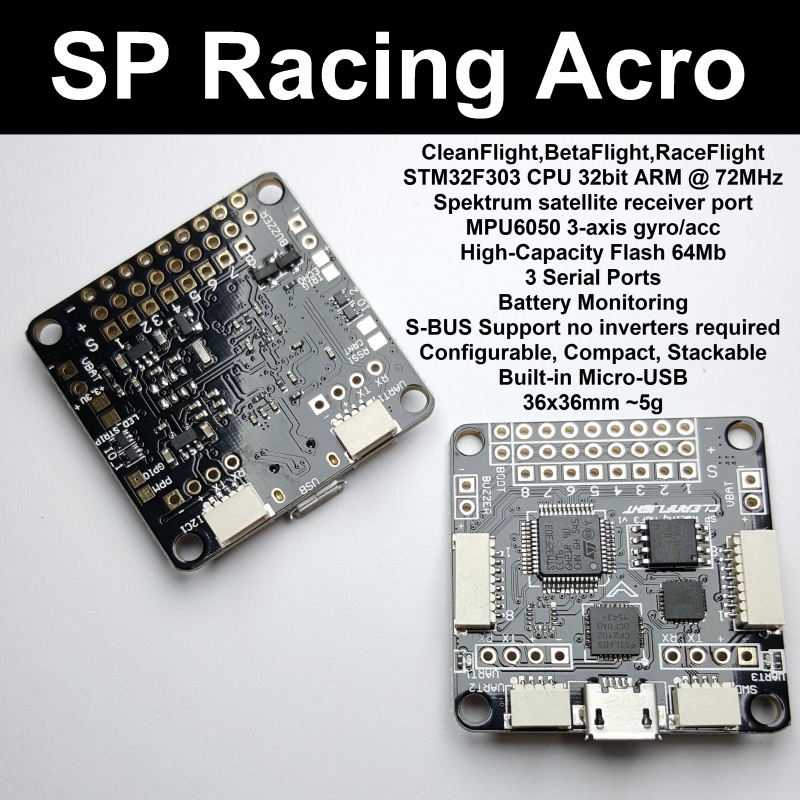 The flight controller uses the universal mounting pattern so that it is fully stackable and compatible with most if not all Quadcopters. light Performance: Built on tried and tested software, processor and sensor technology to make your aircraft fly like it's on rails. 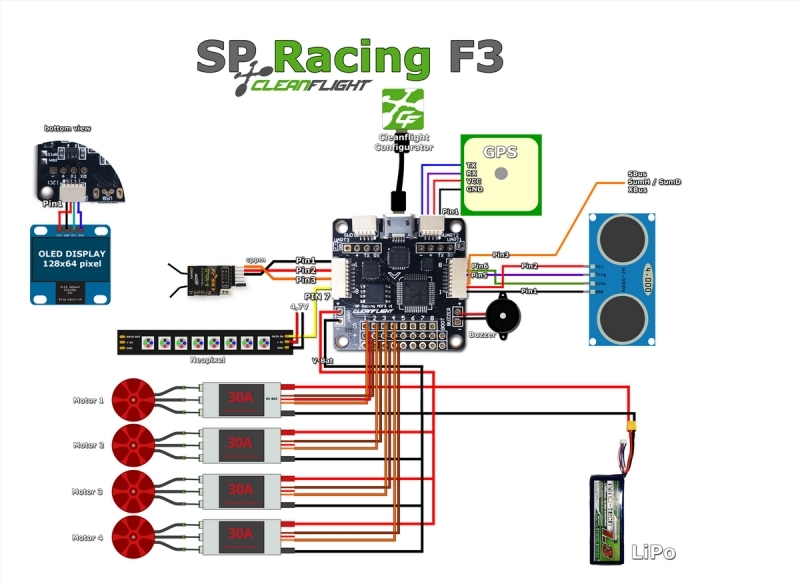 Configurable: The SPRacingF3 runs Cleanflight or Betaflight (Windows/OSX/Linux). 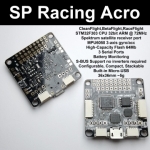 Lightweight: 36x36mm form-factor with 30.5mm mounting holes and weighs just 6 grams. 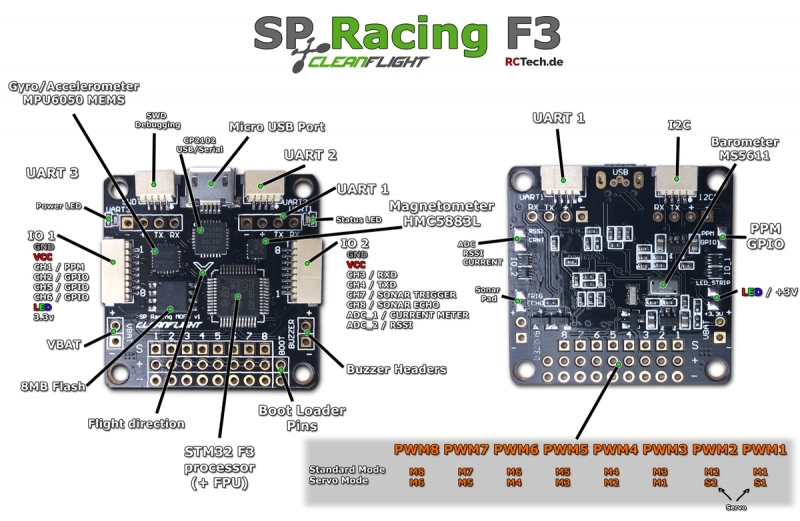 Next-Generation CPU: The SPRacingF3 has an ARM Cortex-M4 72Mhz CPU with Math co-processor (FPU).